How do I notify my subscription customers about new content? 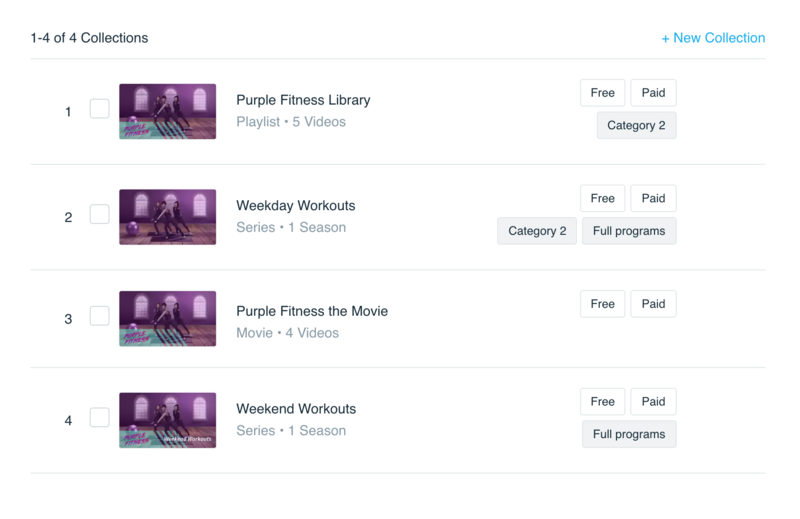 Whenever you add new content to your Subscription, you'll likely want to let your Customers know that it is now available to watch. Sending an email notification to all your active subscribers is easy! Navigate to your Collections page and locate the collection you wish to notify Customers about. Note that the Collection needs to be Available to your Customers and not "Inactive," otherwise they can't watch! 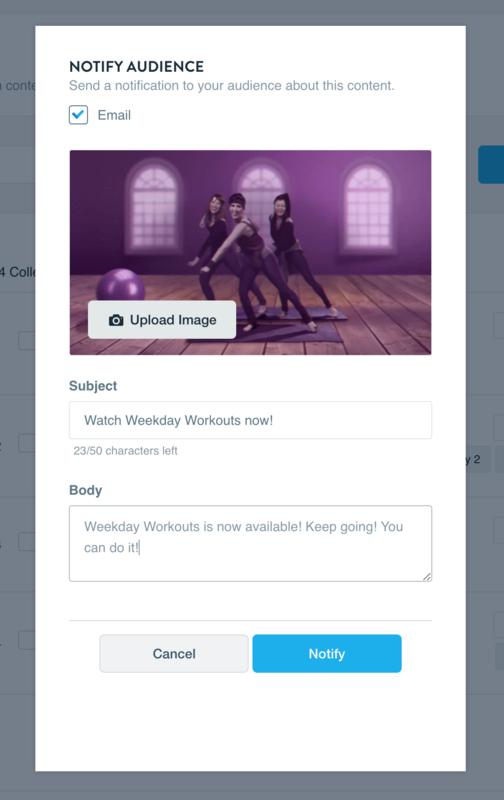 Click the Options menu at the end of the Collection Row and choose the "Send Notification" option. Configure your Notification. You may set a custom Subject, Body or Image to send out or just use the settings that appear by default. That's it! Now all of your Customers will receive an email notification that the content is available along with a direct link to start watching it. Note: Right now, it's only possible to use this tool on subscription products. If you're adding new content to a transactional product, we recommend exporting a transaction CSV, sorting by the product in question, and then emailing the customers using your email client or a marketing email service (if you have one).